Spook-Tacular Halloween Party at The Villas of Wake Forest! 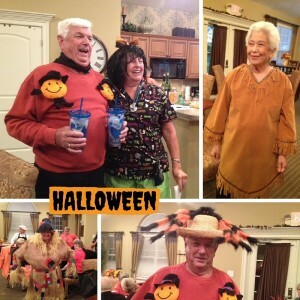 The Villas of Wake Forest homeowners had a blast at the Halloween party last week! The Halloween bash was hosted at the clubhouse. We heard the 'fun police' had to come and make sure the gang didn't get out of hand! Homeowners at The Villas at Wake Forest are a tight knit group of folks and it shows when they get together. There were prizes rewarded for the best costume - which was a hard decision! Everyone came dressed ready to win! There was food, drinks and LOTS of laughs. This is just what living at The Villas at Wake Forest is all about - having fun. We can't wait to do it again next Halloween!